Buy Jonkheer van Tets online from UK supplier of soft fruits. 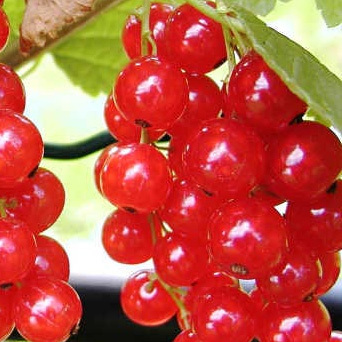 Jonkheer van Tets redcurrant is an early redcurrant variety. It is sweet and juicy with good flavour. A heavy cropping variety.